Claiming to be a non-profit religious institute, Morton's alleged 'institution' appears to be nothing more than his apartment. Appearances are everything someone once commented. Seeing someone in an expensive suit walking into a high price high rise office building. A businessman perhaps? You may think so until you see the same guy flipping burgers at a fast food joint. Of course, there may be more to the eye as the person could be a high level executive for a fast food chain, right? How about that fantastic looking car you see sitting in a lot at a great price. Nice, clean, great paint, super interior, CD player, air conditioning. You can't help but look at the car every time you drive by. Then you decide to get a closer look and find the engine within is a rusty heap of worthless metal that wouldn't take you from one end of a 7-11 parking lot to the other. But remember, the car looks fantastic so why should a little engine trouble matter, right? Perhaps some people reading this article have an image of UFOWATCHDOG.COM. Perhaps some visualize an office with a few reporters, a webmaster, several phones, desks, computers, a break room, numerous filing cabinets. The UFOWATCHDOG.COM "headquarters" consists of a small home office with a staff of one - that would be me - and some people that I'm fortunate enough to have contribute to the website from time to time. That's the 'we' of UFOWATCHDOG.COM and nothing more. 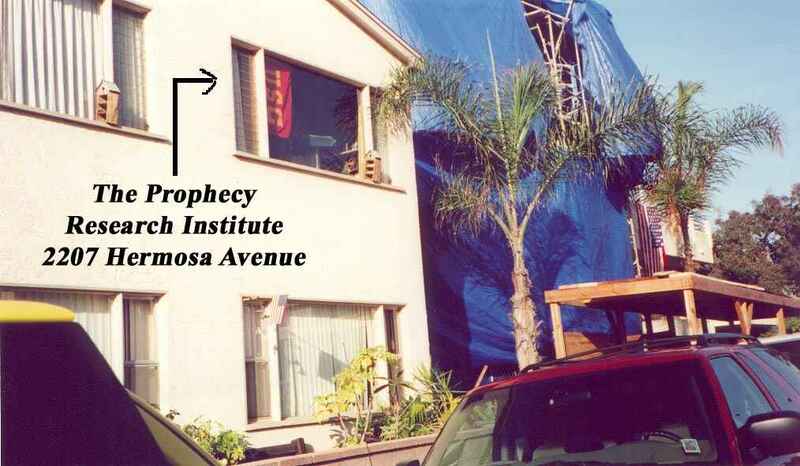 Enter the so-called Prophecy Research Institute (aka PRI). The PRI is operated by none other than self-proclaimed "World's Foremost UFO Researcher" Sean David Morton. UFOWATCHDOG.COM readers may recognize Morton's name from the expose' The Shameless Psychic and His Prophecy of Lies. During his radio appearances on Coast to Coast AM with Art Bell, Morton has talked up the PRI and described it as "a non-profit religious research institute" that has "an office staff." For people visiting his website, you will find a page offering Morton's 'spiritual remote viewing classes.' The Delphi Associates website states, "For more information on any seminar or expo, please email our Office Staff." For those people that purchase items from Delphi Associates or PRI, Morton states that all purchases are "tax deductible donations." A bio on Morton states, "Currently Sean is Managing Trustee of the PROPHECY RESEARCH INSTITUTE, which since 1993, has published the monthly DELPHI ASSOCIATES NEWSLETTER...." Sounds like a big time operation, right? 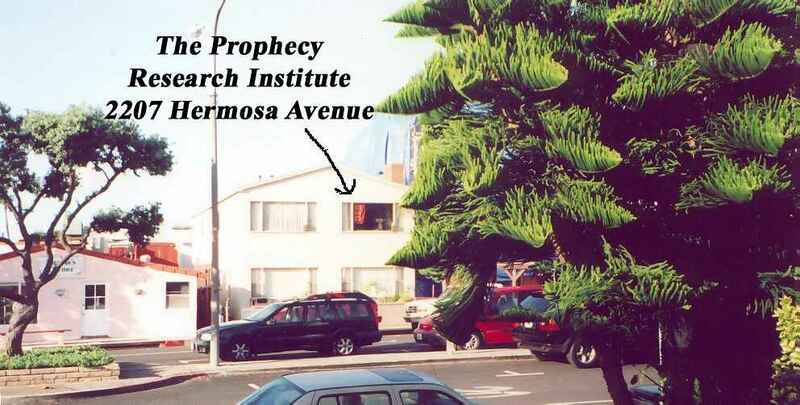 While the PRI lists an address in Hermosa Beach, California, no one that UFOWATCHDOG.COM knows has ever seen this so-called institute...until now, and it appears to be a far, far cry from an institute of any kind. Enter a guy named Kirk (not his real name). Kirk is a curious guy, possibly too curious for his own good. His inquisitive nature has probably landed him in more than a few hot spots. Kirk, a good friend of mine, has been an avid reader of the UFOWATCHDOG.COM website. Kirk doesn't believe in UFOs or aliens, but he particularly likes reading about Morton. Kirk has, on many occasions, expressed his displeasure with many of Morton's lies. Again, being the curious guy Kirk is, he decided to pay a visit to Morton's PRI while visiting California to see what this alleged 'institute' was all about. Armed with the address of the PRI and a camera, Kirk began his search for the alleged institute. Kirk said he had a hard time locating the PRI at first, but after stopping by a small cafe and getting directions, Kirk found out the PRI was right around the corner. 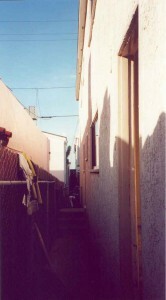 After finding the PRI, Kirk asked around about the building and, aside from his observations, found that it was simply a small apartment complex. Left: A look at the back of the Prophecy Research Institute. Lucky for us, Kirk decided to snap off some photos of the area. After taking some photos, Kirk thought about leaving the area and returning to his much deserved vacation. However, curiosity, as it often did, managed to get the best of him. Boldly going where no stranger would go, Kirk decided to go up to the door leading to the so-called research institute that was PRI and possibly to the all knowing prophet himself, Sean David Morton. You would think that Morton would have sensed Kirk's presence, or had the ability to foresee Kirk's visit to the illustrious 'institute' from which Morton operates his publishing company and research institute. After all, Morton is a psychic and a prophet, right? Right: The door leading to the illustrious Prophecy Research Institute. 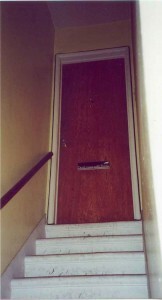 Kirk approached the door looking for any indication that this was the PRI. Unable to locate any students, faculty, a direction kiosk in the area, research staff, or a sign of any kind, Kirk noticed an unusual bumper sticker on the door near the mail slot. Instead of being some kind of indicator that this was indeed the PRI, the sticker read, "Don't Mess With Texas." Kirk listened for a moment and could hear the voices of two males and a female coming from inside. Kirk's curiosity took over and he decided to knock. After knocking, Kirk said he could hear a lot of movement inside and some whispering. Feeling a bit uncomfortable, Kirk was just getting ready to turn around and leave when the door opened. There stood a small, skinny guy that Kirk described as "suspicious looking." The guy asked Kirk, "What do you want?" Kirk asked if this was the apartment that Morton lived at and the guy at the door said, "Yeah. Who wants to know?" Being a stranger in a strange land, Kirk had a feeling it was in his best interest to leave, which he did. Is this an institute we're looking at to the left? What is an institute you may ask. It is defined as: 1) An educational institution, especially one for the instruction of technical subjects. 2) The building or buildings housing such an institution. I don't know about you, but I'm of the opinion that Morton's PRI does not represent an institute at all. At best, it might qualify as a home office of some sort. And the alleged 'office staff' at PRI is reported to only consist of Morton and his girlfriend Melissa Thomson (aka Melissa Granger; aka Angela Granger). Perhaps the institute is all in the mind of Morton, as many other things apparently are. How does one obtain a non-profit status for a 'religious research institute' when it is operated out of an apartment? A search of databases listing non-profit organizations found no listing for Sean David Morton, Prophecy Research Institute, PRI or Delphi Associates. All non-profit organizations are subject to filing for non-profit status and, upon request, are subject to financial disclosure to the public under federal law. Non-profit organizations are also usually required to register with state agencies as well. Morton's website does not contain a charter regarding his non-profit organization nor is there any other reference or documentation to its alleged non-profit status other than the 'org' in the web address. Is the PRI a legitimate non-profit organization or a simple way for Morton to profit under the guise of a religious research institute? UFOWATCHDOG.COM again invites Sean David Morton to comment on this story. Any and all comments or rebuttals are welcome. UFOWATCHDOG.COM will also be filing a request with Sean David Morton for all non-profit information about PRI available under law and will also be requesting further documentation through the Internal Revenue Service.